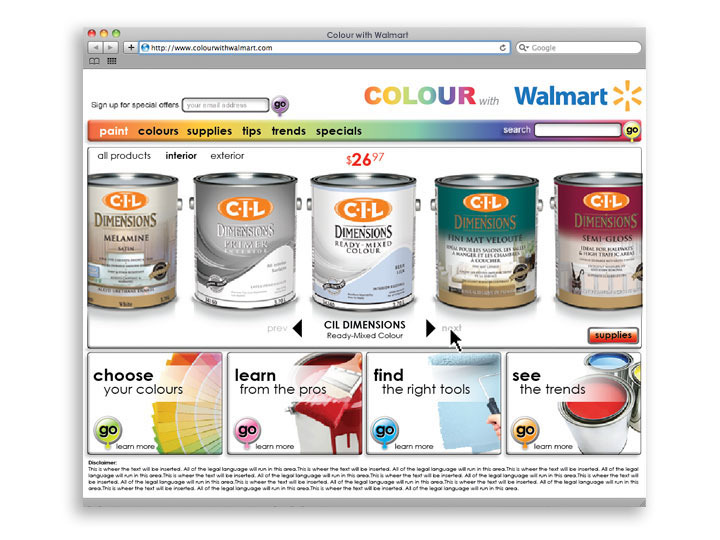 This is microsite designed for the Walmart Paint Department. 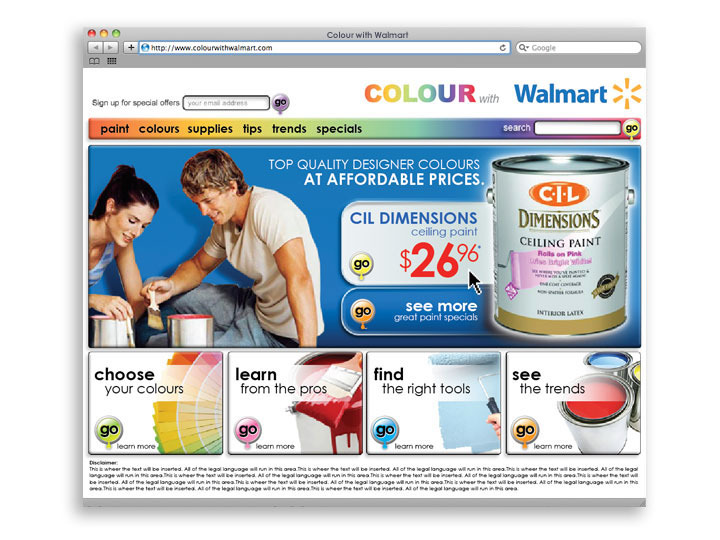 This is a microsite for Walmart's paint deprtment. 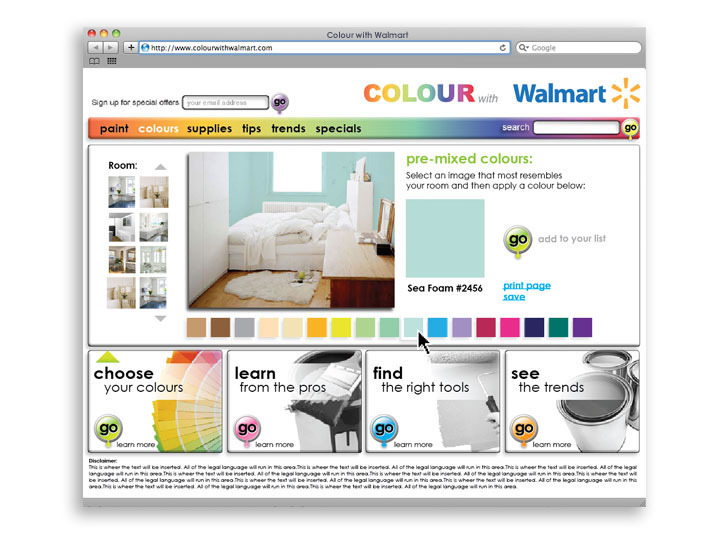 The interface needed to be clean, engaging and of course - colourful.